Data from prescription databases are increasingly being used to study associations between maternal medications used in pregnancy and congenital anomalies. We therefore investigated the extent to which prescriptions reflect the actual use of medication during pregnancy, and whether medicines used during pregnancy are taken according to the prescribed dosage and duration. We performed a cross-sectional study in a population-based congenital anomaly register (EUROCAT Northern Netherlands). We included 202 women who had at least one prescription during their pregnancy and who gave birth between 2009 and 2011. Compliance with the prescribed medication was verified by telephone interview. We calculated the compliance rates for several medication groups by dividing the number of mothers who confirmed they had taken the medication by the total number to whom it had been prescribed. Compliance was positive if the mother confirmed she took the medication, even if she only took one of several prescriptions from the same medication group. For each prescription taken, we also determined whether her use conformed to the prescribed dosage and duration. During the first trimester, the compliance rates ranged from 0.84 (for chronic diseases) to 0.92 (for pregnancy-related symptoms). Most of the medications actually taken were used at the prescribed dosage or lower. More than half of the medications actually taken were used for the duration prescribed or shorter. Prescription records are generally a relatively reliable source of data for research into associations between medication use in pregnancy and congenital anomalies compared with other data sources. Pharmacy records of medication use in pregnancy might represent an overestimation, which should be taken into account. However, our results show that, except for ‘corticosteroids, dermatological preparations’; ‘ear, eye, nose and throat preparations’; and ‘anxiolytics, hypnotics and sedatives’, this overestimation generally seems minimal. The abstract has been submitted to be presented in poster form at the EUROmediCAT congress in Poznan, Poland in February 2015. The online version of this article (doi: 10.1007/s40264-015-0302-z) contains supplementary material, which is available to authorized users. Healthcare databases are increasingly being used to study associations between maternal medications used in pregnancy and congenital anomalies. A disadvantage of using healthcare databases is a lack of clarity around whether prescribed/dispensed medication is actually taken. For most medication groups, prescription records are a relatively reliable source of data for research into associations between medication use in pregnancy and congenital anomalies compared with other data sources. Approximately 80 % of all women use one or more medications during pregnancy . However, whether new medicines have any teratogenic effects is largely unknown, since data obtained from animal studies cannot always be translated to humans, and pregnant women are excluded from clinical trials for ethical reasons . For chronic illnesses, the use of medication during pregnancy is often unavoidable. The use of some specific medications might result in a higher risk of specific congenital anomalies, such as the anti-epileptic medication valproic acid, which results in an increased risk of spina bifida if used in the first trimester of pregnancy . Given that certain medications are unavoidable during pregnancy and the severity of some congenital anomalies, research into associations between them is highly relevant. Two types of information are frequently used in studies on medication use in pregnancy: self-reports (interviews and questionnaires) and ‘medical’ records (information extracted from medical files, or pharmacy or health insurance records). The use of pharmacy databases, which hold data on prescriptions to individuals, is relatively easy. Furthermore, the data are registered prospectively. However, one cannot assume the patient actually takes the medication prescribed . Non-compliance can result in misclassification of exposure and lead to bias in study outcomes [5, 6]. Since data from pharmacy databases are increasingly being used for research into associations between medication use in pregnancy and congenital anomalies [7, 8], it is important to verify patients’ compliance with the prescribed medication. The aim of this study is to investigate the extent to which prescriptions reflect the actual use of medication during pregnancy, and whether medicines used during pregnancy are taken according to the prescribed dosage and duration. We conducted a cross-sectional study in which we investigated how accurately prescriptions reflect the actual use of medications during pregnancy by verifying their use and dosage and the duration for which they were taken. We used data from women who had had a child with a congenital anomaly in 2009–2011 and who participated in a population-based congenital anomaly register in the northern Netherlands (EUROCAT NNL). This region has approximately 17,000 births per year , which is approximately 10 % of all births in the Netherlands . All pregnancy outcomes involving a congenital anomaly are registered, including live births, stillbirths (a fetus of ≥24 weeks’ gestation that died in the uterus or during birth ), spontaneous abortions (a fetus of <24 weeks’ gestation that died naturally), and terminations of pregnancy for a fetal anomaly (TOPFA) . For the live births, the age limit for inclusion in the registry is 10 years. Parental informed consent was required for registration, and the parents were sent a questionnaire enquiring about their socio-demographic characteristics and potential risk factors, including use of medicines. The questionnaire also asked for permission for the mother’s pharmacy records for the period from 3 months before conception up to delivery to be requested. After the completed questionnaire and pharmacy information was received, one of our research assistants interviewed the mother by telephone. The research assistant asked about each prescription and checked whether the mother actually took it and whether she followed the prescribed dose and duration . For this study, we included data from mothers who gave birth or had a termination of pregnancy between 2009 and 2011, who received at least one prescription medication during their pregnancy, and who were interviewed between 1 January 2011 and 1 February 2012. In our analyses, we only included prescribed medication dispensed by community pharmacies. We had no information on medication dispensed during hospitalization or medication that was bought over the counter (OTC). In vitro fertilization (IVF) medication and contraceptives were excluded since the intake of these medicines is cycle-dependent, which makes the exact use difficult to determine. Homeopathic medicines, herbals, allergens, antiparasitic products, insecticides, and repellents were also excluded, because they are available OTC and are rarely prescribed. For each medication, we extracted the following information: brand or generic name, Anatomical Therapeutic Chemical (ATC) code , formulation (oral, inhalation, dermal), date of prescription, total amount prescribed, and daily dosage. Medicines were categorized into three main groups (medication for chronic conditions, medication for occasional and short-term use, and medication for pregnancy-related problems) and several subgroups among these main groups adapted from the scheme used by Bakker et al. and shown in Table 1. The women were sent a list of their prescribed medication before the telephone interview. In the telephone interview, compliance with each prescription was verified on the basis of standard questions (see the electronic supplementary material [ESM] 1). Within the interview, it was emphasized that the questions on medication use were asked in order to collect data to perform research on congenital anomalies and not to suggest a possible association with the condition of the child. If a mother confirmed that she had taken her prescribed medication, we defined her as a compliant user for that medication, irrespective of whether she had used the medication exactly as prescribed (correct dosage and correct duration). If a medication was prescribed more than once and the mother had taken just one prescription, she was still counted as a compliant user for that medication. As this broad definition of compliance might overestimate actual compliance, we also applied a stricter definition of compliance to investigate the effect of any overestimation. In the strict definition, a mother was counted as a ‘compliant user’ only if all of the prescriptions of a specific medication were actually taken. If a medication was prescribed more than once but not all the prescriptions had been taken, she was not counted as a ‘compliant user’. We also focused on compliance by grouping the prescriptions according to the different modes of application: oral, dermatological, inhalation, vaginal, rectal, ear, eye, and nasal preparations, and injections. Compliance for each of these groups was calculated according to the broad definition. in case of a 95 % CI, z = 1.96 . The compliance rate was calculated for the first trimester and for the entire pregnancy. The first day of the last menstruation was defined as ‘day 0’. The first trimester was defined as the period between day 0 and day 98, whereas the entire pregnancy was defined as the period between day 0 and date of birth. The date of prescription determined whether the medication was counted as ‘first trimester’ or ‘entire pregnancy’, even if the medication was prescribed in the first trimester but also used in the second or third trimester. To minimize the influence of coincidental findings, the compliance rate was only calculated if at least ten mothers had been prescribed a specific medication subgroup. This means that the total number of prescriptions and mothers in the three main groups is not necessarily the sum of the subgroups. In addition to the compliance, for each medication we calculated the proportion that was actually taken according to the dosage and duration prescribed. We also counted the number of mothers who had one or more prescriptions for each medication group and subgroup. We used PASW Statistics 22 and Microsoft® Excel 2007 for the calculations. During the data collection period from 1 January 2011 to 1 February 2012, a total of 735 congenital anomaly cases were fully registered, and we received pharmacy records for 420 of the pregnancies. After selecting for pharmacy records that covered the period of 3 months before conception up to delivery, covering mothers who gave birth between 2009 and 2011, and that contained complete information on medications prescribed, date of prescription, and amount and dose prescribed, we had 202 pregnancies to study (Fig. 1). The time period between date of telephone interview and date of birth ranged from 2 to 35 months with a median of 13 months (interquartile range [IQR] 7.75–18). A total of 29 % (59/202) cases were born in 2009; 50 % (101/202) in 2010; and 21 % (42/202) in 2011. Most (80 %, 162/202) were live births; 6 % (12/202) were stillbirths or spontaneous abortions, and 12 % (24/202) were TOPFAs. Nine pregnancies ended before the end of the first trimester (before day 98): eight of these were TOPFAs and one was a spontaneous abortion. During pregnancy, 38 % (77/202) of the mothers were prescribed at least one medication for a chronic disease, and 64 % (49/77) of these had more than one prescription for a medication in that specific group. A total of 63 % (128/202) of the mothers were prescribed at least one medication for short-term or occasional use, and 58 % (74/128) of these had more than one prescription for medicines in that specific group. A total of 55 % (112/202) of the mothers were prescribed at least one medicine for pregnancy-related symptoms, and 58 % (65/112) of these had more than one prescription in that specific group; see Table 2. In the group of 202 mothers, a total of 817 prescriptions were prescribed for 142 different medicines during pregnancy. The number of prescriptions per mother during pregnancy varied between 1 and 29 (median 3). During the entire pregnancy, miconazole (gyno), meclozine combinations (Emesafene®), amoxicillin, nitrofurantoin, and ferrous fumarate were most commonly prescribed. With the exception of nitrofurantoin and ferrous fumarate, these medications were also most frequently prescribed in the first trimester. During the first trimester, the compliance rates between the three main groups ranged from 0.84 to 0.92. The highest compliance rate, 0.92 (95 % confidence interval [CI] 0.82–0.96), was seen for medicines for pregnancy-related symptoms, while rates for medicines for chronic diseases and for short-term or occasional use were comparable: 0.84 (95 % CI 0.74–0.95) and 0.86 (95 % CI 0.78–0.94), respectively. For the entire pregnancy, the compliance rates between the three main groups ranged from 0.90 to 0.95. The highest compliance rate, 0.95 (95 % CI 0.90–0.99), was seen for medicines for pregnancy-related symptoms, while rates for chronic diseases and for short-term or occasional use were 0.92 (95 % CI 0.86–0.98) and 0.90 (95 % CI 0.85–0.95), respectively. See Table 2. When we calculated the compliance rates for a selected group that included only the live births and stillbirths, or when we applied the strict definition of compliance, we found the rates were comparable (see ESM 2). Looking at the medication subgroups, relatively low compliance rates (0.69–0.82) for the first trimester were found for corticosteroids, dermatological preparations; antibacterials for systemic use; ear, eye, nose, and throat preparations; and anti-emetics. High compliance rates (1.00) for the first trimester were found for multivitamins containing folic acid, or folic acid and its derivatives, and for gynecological anti-infectives and antiseptics. Relatively low compliance rates (0.73–0.88) for the entire pregnancy were found for corticosteroids, dermatological preparations; dermatologicals excluding anti-psoriatics and corticosteroids; antifungals for dermatological use; antibacterials for systemic use; anxiolytics, hypnotics and sedatives; ear, eye, nose, and throat preparations; anti-emetics; and laxatives. High compliance rates (0.98–1.00) for the entire pregnancy were found for anti-hypertensives, vasoprotectives, beta blockers, calcium channel blockers; multivitamins containing folic acid, or folic acid and its derivatives; and gynecological anti-infective and antiseptics (Table 2). Focusing on the administration forms, for the first trimester, the compliance rates ranged from 0.69 (ear, eye, nose preparations) to 1.00 (vaginal preparations). For the entire pregnancy, the compliance rates ranged from 0.78 (ear, eye, nose preparations) to 0.98 (vaginal preparations). We examined whether the time period between date of telephone interview and date of birth influenced the results. We divided the group into women with a short time between the date of telephone interview and date of birth (≤7.75 months [first quartile]) and a long time between the date of telephone interview and date of birth (≥18 months [fourth quartile]). For all medicines together, the compliance was slightly higher in the ‘short time’ group (n = 50) (0.98 [95 % CI 0.90–1.00]) than in the ‘long time’ group (n = 56) (0.93 [95 % CI 0.83–0.97]), but this was not statistically significant (Fisher’s exact test p = 0.367). For the medication that was actually taken, we determined whether each prescription was taken as prescribed in terms of the dosage and duration. Of the medication used during the first trimester, the dosage taken was according to that prescribed for 68 % (95 % CI 58–79) of the medicines for chronic use and up to 88 % (95 % CI 82–94) of the medicines for pregnancy-related symptoms. Where the dosage used was not according to that prescribed, it was lower than prescribed for 93 % (95 % CI 69–99) of the medicines for chronic use and those for short-term or occasional use and up to 100 % (95 % CI 68–100) of the medicines for pregnancy-related symptoms. The duration was according to that prescribed for 55 % (95 % CI 44–66) (medicines for chronic use) and up to 66 % (95 % CI 57–75) (medicines for pregnancy-related symptoms). Where the duration of use was not according to that prescribed, it was shorter than prescribed for medicines for chronic use (54 % [95 % CI 34–74]) and for pregnancy-related symptoms (77 % [95 % CI 61–93]), but it was longer for short-term or occasional use (0.56 [95 % CI 37–74]). Of the medicines used during the entire pregnancy, the dosage taken conformed to that prescribed for 75 % (95 % CI 69–81) (medicines for chronic use) and up to 87 % (95 % CI 82–91) (for pregnancy-related symptoms). Where the dosage taken was not according to that prescribed, it was lower: 97 % (95 % CI 84–99) (medicines for chronic use) and up to 100 % (95 % CI 85–100) (for pregnancy-related symptoms). The duration conformed to the prescription for 63 % (95 % CI 57–68) (medicines for short-term or occasional use) and up to 69 % (95 % CI 63–74) (for pregnancy-related symptoms). Where the duration was not according to that prescribed, it was shorter for medicines for short-term or occasional use (56 % [95 % CI 45–66]) and for pregnancy-related symptoms (71 % [95 % CI 60–82]). See Table 3. We investigated the actual use of medication prescribed during pregnancy, based on 817 prescriptions prescribed to 202 mothers of children with congenital anomalies. The reported compliance for any medication prescribed ranged from 0.84 (medicines for chronic diseases) to 0.92 (for pregnancy-related symptoms) in the first trimester, with the lowest values for ‘corticosteroids, dermatological preparations’ and ‘ear, eye, nose and throat preparations’ [0.69] and the highest values for ‘multivitamins containing folic acid or folic acid and its derivatives’ and ‘gynecological anti-infectives and antiseptics’ [1.00]. For the entire pregnancy, the reported compliance for any medication prescribed ranged from 0.90 (medicines for short-term or occasional use) to 0.95 (for pregnancy-related symptoms), with the lowest values for ‘anxiolytics, hypnotics and sedatives’ [0.73] and the highest values for ‘multivitamins containing folic acid or folic acid and its derivatives’ and ‘antihypertensives, vasoprotectives, beta blocking agents, calcium channel blockers’ [1.00]. Most of the medicines actually taken were reported as having been taken according to the dosage prescribed and, if not, the dosage taken was lower. More than half of the medicines actually taken were used for the duration prescribed and, if not, the duration was mostly shorter. Reports in the literature show a wide range in compliance rates for different medicines in general [15, 16]. One study showed that, in the general population, the compliance rates for medicines for chronic use were between 40 and 50 %, and the compliance rates for medicines for short-term use were between 70 and 80 % . In a Dutch study in 1990, interviews regarding medication use during pregnancy were performed within 2 weeks after birth, and the results were compared with pharmacy records. The study found that interviews were preferable to pharmacy records in the case of OTC medicines used. However, pharmacy records were found to provide more reliable information for longer recall periods and where mothers used multiple and/or repeated medicines . In a Danish study, researchers compared data in the North Jutland Prescription Database (NJPD) with data from interviews in the Danish National Birth Cohort (DNBC) and calculated the compliance rates. 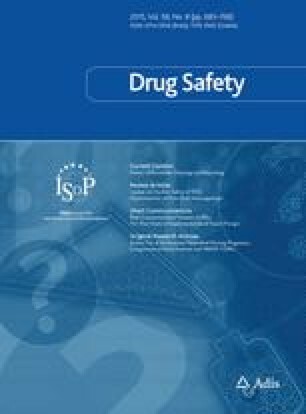 In this study, the researchers defined compliance as the probability of mothers reporting the use of medicines in the DNBC after a prescription had been dispensed, so in fact the mothers’ recall was investigated. The study reported a ‘compliance’ of 70–100 % for medicines for chronic use and of 12–59 % for medicines for short-term use . In another study, in the EUROCAT NNL, the maternal recall of prescribed medication during pregnancy was investigated by comparing the results of a paper questionnaire using indication-oriented questions with the medication registered in the EUROCAT NNL database based on information from the pharmacy. The sensitivity was calculated as the proportion of women who reported prescription medication use in the questionnaire among those who had been exposed to that medication according to the registry data. A woman was recorded as having been exposed when she confirmed (in a telephone interview) that she had taken the medication prescribed or when she mentioned using OTC medicines. For medication for chronic use, a sensitivity of 0.47 (95 % CI 0.40–0.55) was found, i.e., the use of medicines for chronic use was reported in the questionnaire by 47 % of the mothers who had received a prescription for a medication for chronic use. For medication for occasional or short-term use, and for pregnancy-related symptoms, the sensitivity was 0.34 (0.29–0.40) and 0.51 (0.43–0.58), respectively . With respect to medication for chronic use, our results are in line with those of the Danish study. However, for medicines for short-term use, the compliance in our study was higher, although the Danish study investigated the recall . Compared with the results from the EUROCAT NNL study, which investigated maternal recall, the reported compliance in our study is higher for all groups . This can be explained by the self-reporting based on interviews and questionnaires, like the Danish and EUROCAT NNL studies, being affected by several aspects influencing accurate recall [20, 21], such as language barriers, time pressure, or the woman’s circumstances, like perception, expectation, experience, and education [22, 23, 24]. One would therefore expect to see under-reporting of medication use in pregnancy when using interviews or questionnaires without the support of pharmacy records [19, 25]. The compliance rates for selected groups (excluding spontaneous abortions and TOPFAs and applying a strict definition of ‘compliance’) were similar to those reported here (see ESM 2). Although the dosage of a medication and duration of exposure are considered relevant factors in affecting pregnancy outcomes , the quality of these parameters in studies using routinely collected administrative data has not been thoroughly examined . Nevertheless, it is important to look at specific medicines or groups of medicines to investigate whether the dosage or duration changes during pregnancy. For example, one study showed that 39 % of women who used anti-asthmatics during pregnancy actually discontinued or reduced their medicines . To our knowledge, this is the first study in which compliance has been investigated by verifying pharmacy records in a structured telephone interview with each mother. Although the women were sent a list of their prescribed medication before the interview, the question still arises as to how accurately they can recall the actual use of a prescribed medication retrospectively. The period between date of telephone interview and date of birth ranged from 2 to 35 months. The compliance rate did not differ significantly among the ‘short time’ and the ‘long time’ group; however, regardless of time between the telephone interview and the date of birth, correct recall of the use of a certain medication (particular, that for short-term use) may be difficult. It is possible that women give positive answers to please the interviewer or deny the use of a medication if they feel guilty about their child’s condition. In addition, we only measured compliance in a selected group of women who gave birth to a child with a congenital anomaly. Therefore, by definition, the results are not applicable to the general pregnant population. If women who gave birth to a child with a congenital anomaly recall events during pregnancy better than women with a healthy child (for instance, because they try to find an explanation for their child’s congenital anomaly), recall bias has to be taken into account in studies using unaffected controls . Further research is recommended to investigate compliance in the general pregnant population. Our broad definition of compliance might lead to an overestimation of the compliance rate, although we found that applying a strict definition of compliance did not affect the compliance rates. Finally, we could only investigate compliance for certain common medication groups, since we did not have enough power to calculate compliance for specific medicines. Prescription records are generally a relatively reliable source of data for research into associations between medication use in pregnancy and congenital anomalies compared with other data sources. The medication use in pregnancy based on pharmacy records might represent an overestimation, which should be taken into account. However, our results show that, except for ‘Corticosteroids, dermatological preparations’; ‘Ear, eye, nose, and throat preparations’, and ‘Anxiolytics, hypnotics and sedatives’, this overestimation seems generally minimal. The authors thank J. L. Senior for editorial assistance. EUROCAT Northern Netherlands is funded by the Ministry of Health, Welfare and Sports. This study was conducted as part of the EUROmediCAT project, funded under the European Union’s Seventh Framework Program. Linda de Jonge, Hermien E. K. de Walle, Irene M. van Langen, Lolkje T. W. de Jong-van den Berg, and Marian K. Bakker declare that they have no conflicts of interest to disclose. L. de Jonge was responsible for study design, statistical analysis, interpreting the findings, and writing the manuscript. H. E. K. de Walle, and IM van Langen contributed to all revisions of the manuscript. L. T. W. de Jong-van den Berg and M. K. Bakker were responsible for supervising the study and contributed to all revisions of the manuscript. Eurocat Northern Netherlands. In: General figures. 2014. http://www.rug.nl/research/genetics/eurocat/pdf/general-figures-2014.pdf. Accessed 9 Dec 2014. Centraal Bureau voor de Statistiek. In: StatLine. 2014. http://statline.cbs.nl/StatWeb/publication/?VW=T&DM=SLNL&PA=37422ned&D1=0,4-5,7,9,11,13,17,26,35,40-41&D2=0,10,20,30,40,(l-4)-l&HD=090218-0953&HDR=G1&STB=T. Accessed 9 Dec 2014. Bakker MK. Introduction—Eurocat of M. K. Bakker’s dissertation: ‘The use of a birth defects case-control monitoring system in studying the safety of medication in pregnancy’. http://dissertations.ub.rug.nl/faculties/medicine/2010/m.k.bakker/. Accessed 10 Dec 2014. World Health Organization Collaborating Centre for Drug Statistics Methodology. In: ATC/DDD Index 2012. 2012. http://www.whocc.no/atcddd. Accessed 14 Aug 2012. Department of Epidemiology. In: Help!Statistiek! 2009. http://www.rug.nl/research/epidemiology/downloadarea/helpstat19.pdf. Accessed 3 Oct 2014.